Our daughter had an amazing time here for her 14th birthday. 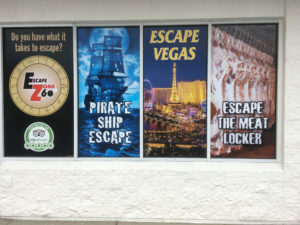 It was so much fun to se a bunch of teenage girls work together to escape the Vegas room. I was very happy knowing that the room was monitored! We will come back again and try another room. Thank you for making her birthday memorable! Fun for the whole family! The staff was very friendly and helpful! Thanks for the clues! Highly recommend!